“My work reflects who I am. 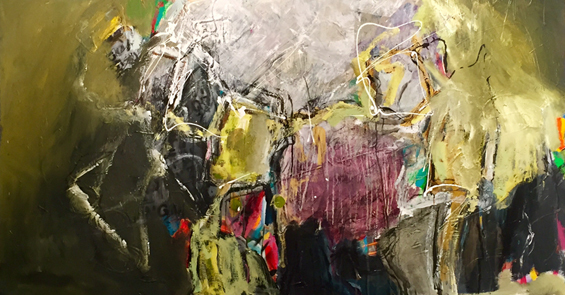 My fascination with the figure extends from the rendering of form, inspired by multiple means such as drawing from life, imaginative forms and renderings which transpose into a combination of form, line and energy. I use colour to express the emotional content within. By focusing on all these elements, my paintings evoke power and strength. All I need to express of myself somehow gathers together in various ways and presents itself in different aspects at different moments in my life. My work incorporates pencil, charcoal, pastels, acrylic, graphite, collage and any other dry medium that may catch my eye. I have no rules- oil sticks mixed with water-based paints affects and excites and brings about incredible textures that even I don't know exist!!! I continue to play experimentally as well as emotively and the process is paramount in my direction I head. 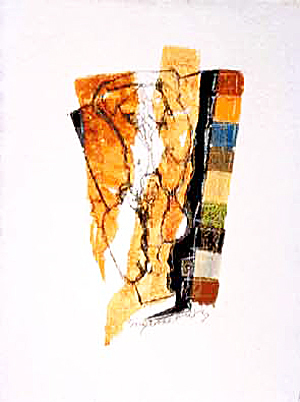 The earthy, warm colours of my past history from South Africa always find their way to profoundly influence my works. Recently though, I have been adding new elements of pure colour to my comfortable earthbound hues, and this has added yet another dimension to my art. Click images for larger views. 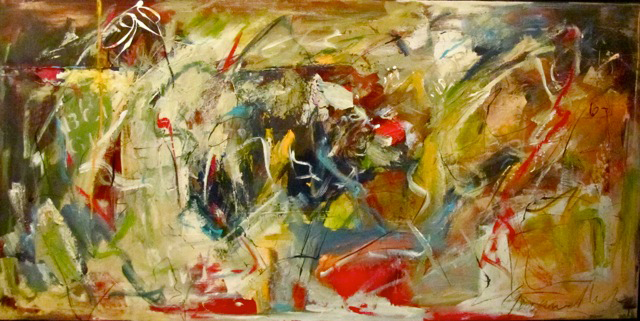 More Suzanne Metz paintings are available. 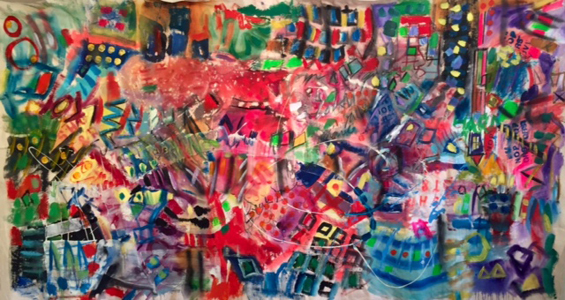 Contact Melanie Kalmin Fine Art Consultant for more information. 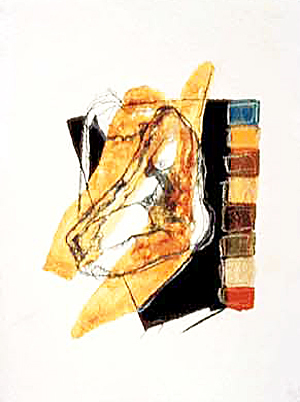 Suzanne Metz was born in South Africa and received her BA Fine Arts (Honours) Degree in 1980 from the University of Witwatersrand in Johannesburg. 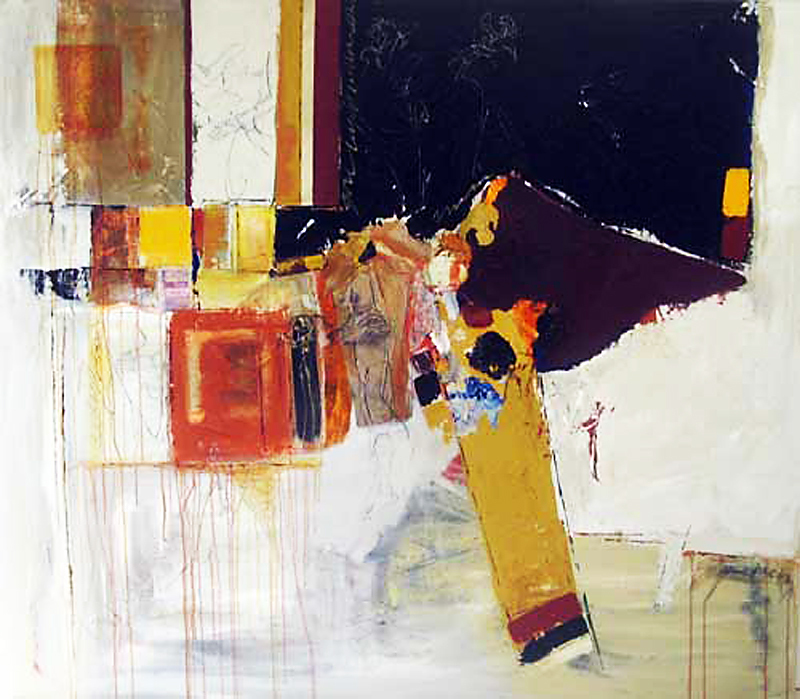 Suzanne immigrated to Canada in 1986 and worked as an art teacher and artist whilst raising three daughters. She spent years teaching both children and adults and is now focused on teaching adults at various studios around Toronto. Suzanne has been practicing as a professional artist for over 30 years and exhibits and sells her work both locally and internationally. 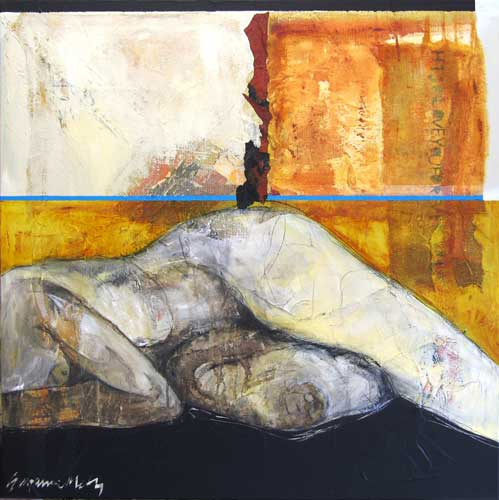 Suzanne's work has always focused on the human form - being intrinsically woven in a semi-realistic fashion or an expressive and semi- abstract manner. 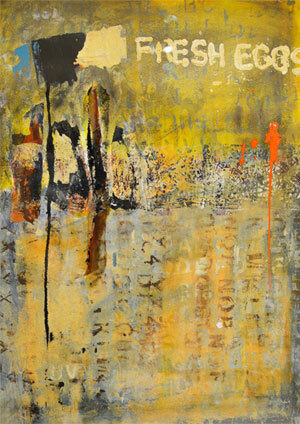 Her works are predominantly now on canvas, incorporating all types of dry media mixed with her acrylic paint. Her colour has varied often lately, from the earthy tones of her African heritage toward a more vibrant and pure palette, with elements of collage and calligraphy still interwoven throughout. This continues to add new depths to the many layers within her pieces. 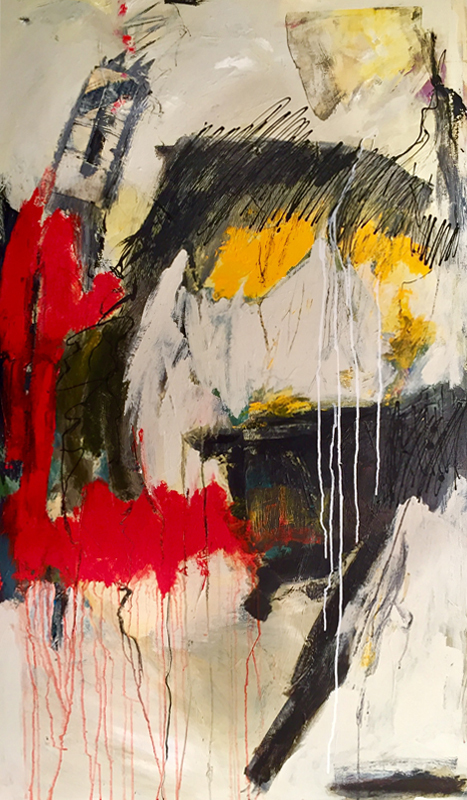 Graffiti elements and pure non-objective painting have been dominant in her newer works, expressive, not only through the intense and vibrant colour, but as well through the energetic mark-making, texture and symbolism. 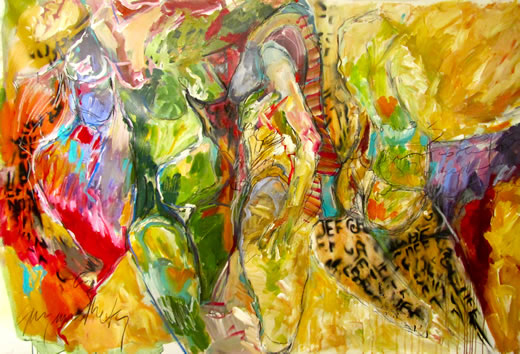 “I read poetry, listen to all types of music, simply hear words that make a difference in my life, and some, all and part of these words find their way into my art.... not only immortalizing themselves in my work, but at the same time, allowing purely the mark of the written word to provide an important role in the art piece, both visually and contextually. My newest direction is heading towards graffiti - a perfect means to showcase my reflections of my self and my world.